Exhibition view: "After Year Zero. 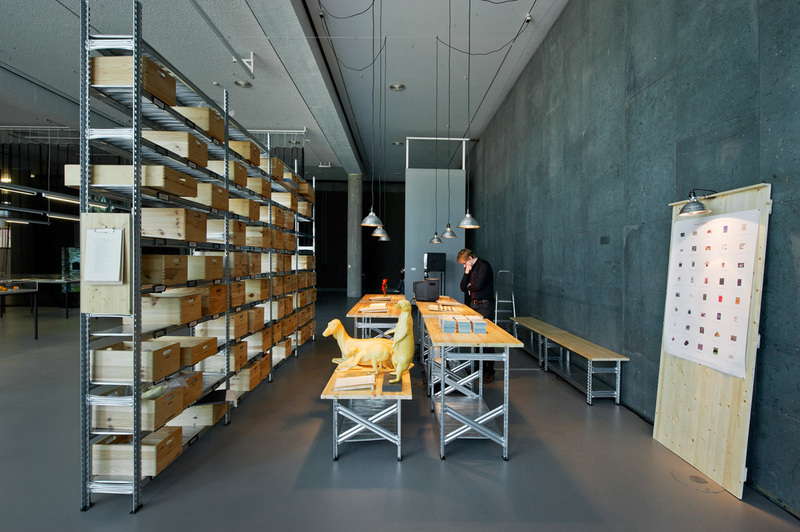 Geographies of Collaboration"
Curated by Annett Busch and Anselm Franke, Museum of Modern Art, Warsaw, 2014. Photo: Anselm Franke. 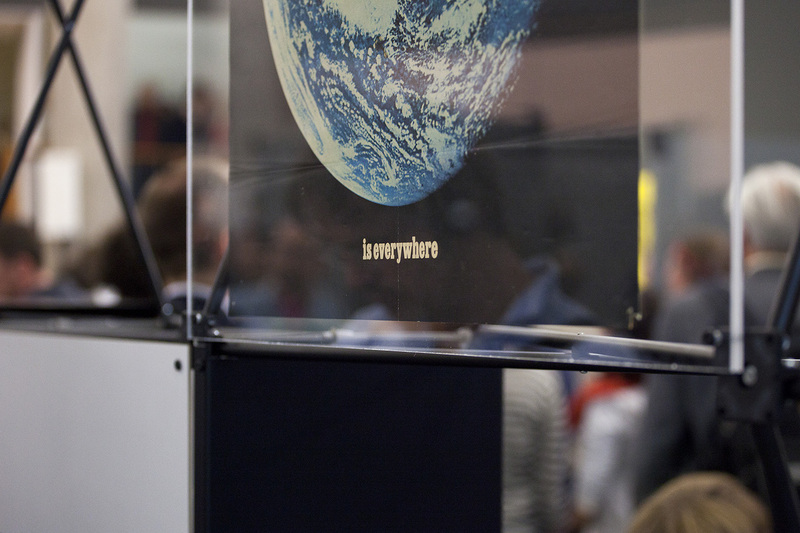 Exhibition view: "The Whole Earth. California and the Disappearance of the Outside"
"The Whole Earth. California and the Disappearance of the Outside"
Anselm Franke and Juan Canela in conversation. Anselm Franke has become known for developing curatorial projects of great scope and influence, which are characterized by solid and extensive long-term research processes. In their practice, theoretical and discursive aspects play a fundamental role, and a dialogue between research and art practices has a critical impact on contemporary world essential issues. The conversation with the German curator flows through some of his past and ongoing projects, on matters such as: the need for negotiation among different ontologies, the possibility of acting on the dichotomies of modernity to complicate them, the contradictory place of the exhibition as an unveiling of gaze (in order to understand the complexity and the weight of colonial past), or embracing the irrational, the mimetic, or the animic to propose another social order. From his words, we can grasp the need to produce an “undisciplined” and unsettling form of knowledge that calls into question reality and its perception again and again, until you can reinvent the way to bring the most urgent subjects into existence. Juan Canela: Anselm, I think we could agree that we live in a time in which the social accord between individuals, society, and state has been broken, and it seems urgent to rethink this issue from different perspectives. Precisely Nervous Systems, one of your latest projects presented last year at the HKW in Berlin, focuses on how our experience and understanding of the “I” and the “social” is changing and questions how the large amount of data on human behavior affects and transforms such behavior. What is your perception on this panorama, and how do you articulate the idea of the nervous system to rethink the relationship between life and technology, between the organic and the material? Anselm Franke : It gradually becomes clear that the digital economy has far reaching effects on our social behavior. Indeed our very sociality, that is, our “being-in-relation,” has become a resource for a new form of extractive economy. Everything we previously might have deemed personal has been subjected to profiling and pattern analysis, and our very feedback mechanism with the world and others are hence changing. In the Nervous Systems exhibition, we traced how the concept of the nervous system has been used as a metaphor since the dawn of the industrial age—and particularly since the rise of cybernetics and information science—to advance the idea that computers and biological organisms are compatible and can and need to be integrated. Already in the 19th century, the nervous system was both subject of scientific inquiry and a widely used metaphor in relation to electrification and the shock of industrial modernity. However, it was in the 1940s that the organic nervous system—with its firing synapses—has been equated with a switchboard, with so-called “logical gates,” with the binary operation on which our digital age is built. We wanted to highlight the ideological character of this equation, but also its lure. After all, there is more than an Orwellian side to cybernetics; it also paved the way for a veritable revolution in Western metaphysics, and it breaks through ontological division, and raises the question of “ecology.” I think right now public opinion still seems very divided over whether we are about to enter digital utopia, or reach the technological singularity, or whether this idea of letting “smart” networks take over the management and governance of our polities might not ultimately turn into a social nightmare and espouse a neo-reactionary politics such as Peter Thiel’s. In the exhibition, we also highlighted how the emerging data-positivism, and the dream of a new “social physics,” ultimately must fail to grasp the dynamics of social processes. Overall, I think we painted a rather grim picture of how our technologically integrated societies have developed under the conditions of platform capitalism. But we insisted that it’s not about critiquing technology as such, but the ends it is serving. What we are witnessing is less the disruptive innovation that is propagated by Silicon Valley, but a freezing of reality into reductive categories and the re-inscription of those social categories through pattern analysis and algorithmic modeling. We wanted to create awareness, encourage dissociation, and instigate social invention in response. JC: As in your other projects, Nervous Systems brings materials that come from different fields of knowledge, produced by artists, technologists, theorists, or activists. How does this gathering of different knowledge work, and what is the importance of trans-disciplinary in your curatorial practice? AF: This was a thematic exhibition, a so-called “essay exhibition.” Such an exhibition performs a simple, necessary gesture with regards to art and other exhibits: It amplifies the oscillation between meaning and material, rather than short-circuiting them, as most thematic exhibitions do. Working with art, text, and other artifacts, the essay exhibition seeks to induce a definitional crisis with regards to the “topic” of the exhibition, the subject matter, the objects. The indeterminacy of art, the generality with which it performs its “political” gestures, seems to me to have exhausted itself. So, if art’s critical function is to throw us back onto our tacit assumptions, our worldviews, and to instigate a process of reflection in a zone of non-identity, then it has become important to explicate these assumptions historically and ideologically, and to test the generality of art’s political gestures against history’s particularity. It is not about using art to illustrate a theme, as is often assumed, but the opposite: to challenge discourse with art and art with discourse, in order to make this oscillation between meaning and material productive. This allows for a precise, new kind of conversation; an “undisciplined” and unsettling form of knowledge then sometimes comes to the fore, which puts reality and its perception into question again and again. JC: In recent years, you have developed curatorial projects that are characterized by solid and extensive long-term research processes. Projects such as Animism (2010-14), The Anthropocene Project (2013-2014), The Whole Earth (2013) or After Year Zero (2013), besides taking the pulse on essential contemporary culture topics, establish working processes and public and exhibition moments in which the theoretical and the discursive have a primordial role. How do you come across with the subjects you work with, and what is the relationship between the research stage and the audience, between the theoretical and the artistic production? AF: There is always a group of people, typically artists and writers, with whom I think. I am almost never alone in any of these projects, and most of them are developed in response to both a particular work—or a body of work—and a series of books. Animism answered to the work of Jimmie Durham and the early Walt Disney, for instance, and the books of Michael Taussig and Avery Gordon. Each project develops out of the other, and they are each directed against the currency that certain received ideas have in contemporary discourse, including cultural production and “interested” art. The topics of these projects are often initially hidden in works of art, as an implicit backdrop. I read art discursively and discourse aesthetically, perhaps. I then try to render these “conditionings” explicit, and create discursive contexts that allow for certain shifts in the field, allowing for new alliances across different registers of language. It is, in each instance, an attempt to step out of certain frames, certain narratives, and certain limits of the cultural imaginary. Stepping out of these frames is both a critical effort and an aesthetic effect, a modern effect. I don’t see them as separate and refuse to succumb to the mystifications that are currently defining the image of contemporary art. I also aim at articulating knowledge as precarious, to make clear what it is that is under threat at a given time. Animism, for instance, was also about the intuition that film did not just restore gesture and older forms of mimesis to modern human beings, as Walter Benjamin diagnosed. It was also about the fact that since digital animation the situation might have been inverted, from an opening to a closure. People no longer go to the cinema to learn to cry again, but instead are trained to accept that even their emotions might not be theirs anymore. 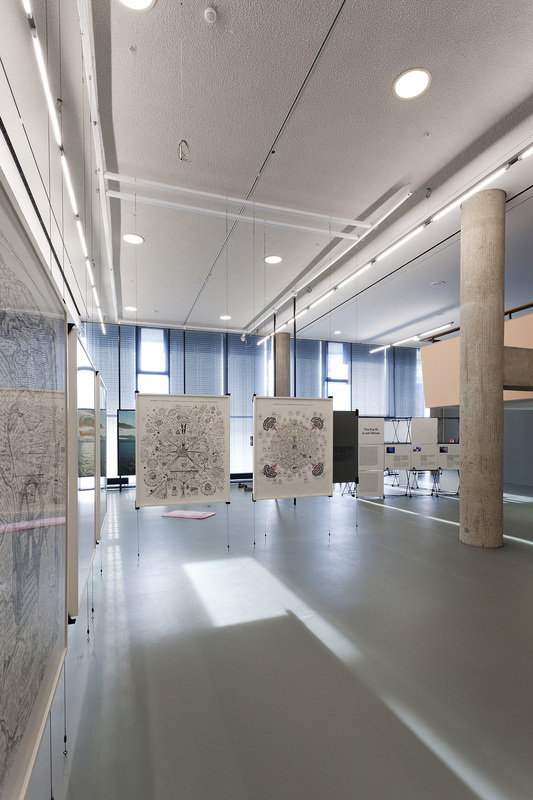 JC: I remember visiting the Ape Culture exhibition (2015) where the spatial differentiation between the research section—arranged in cross-panels almost like pages of a book—and the exhibition part surprised me. But in other projects, the research was much more integrated in the exhibition. This relationship is always complex, and even more when the theoretical has as much weight as in your projects. How do you decide the articulation of that dialogue in each case? AF: Yes, the initial idea here was to keep the “art” and the “science” apart, the symbolic and metaphoric uses of apes and monkeys on the one side, and primatology and its political, cultural, and legal contexts on the other. Looking back, I do think this distinction between the research and the art was not completely resolved. We did not want the artworks to be “about” apes: This part of the exhibition should speak of the mimetic powers that the slippage of signification releases. Apes, as simian mirror, destabilize signification. This slippage is political, but also inherently aesthetic; it inhabits the borders of linguistic communication, but it also opens up a realm of meta-communication about the means of communication, of interacting bodies and their affects. Several films were shown to further activate this exploration of mimetic behavior, mirror-effects, and desires in a reflexive way: We cannot escape our own ape-hood. While each individual artwork was powerful, they nevertheless ended up perhaps looking a bit too much like a more conventional collection of works on the “topic” of apes. We think that this part of the exhibition should have been even further removed iconographically, and turned more into a meta-reflection on different registers of mimesis and social power. JC: You might say that a path can be drawn through your practice surrounding topics related with how we understand ourselves in the world, and how we organize as a society in relation to it. In Animism, you point out the battlefield that is established on the border of colonial modernity, which concerns the urgent question of the transformation and negotiation of different ontologies. You raise the question, in my opinion really necessarily, of understanding whether we are able to leave the matrix of modern dichotomies, not by abandoning them, but by recovering our capacity to act on them. Could you comment a little on how this project was developed, and how you work on a subject like this in the exhibition format? AF: It is a question of the vantage point: From where do you ask the question? What are the underlying assumptions? What have they to do with the way an object and the perception and knowledge thereof is constituted? When you assume, for example, that ultimately the physical world is devoid of animation (a widespread attitude in the mechanistic worldview of the 19th century, during which the concept of animism was coined), and that the psyche is a phenomena that pertains only to the human inner life with no “objective” material reality (other than perhaps the nervous system), then your explanations of so-called animistic phenomena will always predictably follow a pattern yielding the same kind of contradictions, based on and always returning to non-animistic assumptions. The perception of “spirits,” for instance, is explained as a projection or even approximated to a psychological disorder, and thus ultimately, they will be explained away. “We” can acknowledge animistic phenomena only in the registers of fiction, but non-modern people “mistake” this fiction for reality, etc. “They” are not able to make the “correct” rational distinctions, the correct border between the subjective and the objective. But that border is ultimately a historical variable. And this is in itself a colonial mechanism of grave consequence; it amounts to an ontological death sentence—that historically helped to justify imperial conquest, even genocide—and continues in the rationale of capitalist modernization in various forms. So in making this exhibition, I wanted to create an experience of this border itself, and its malleability. 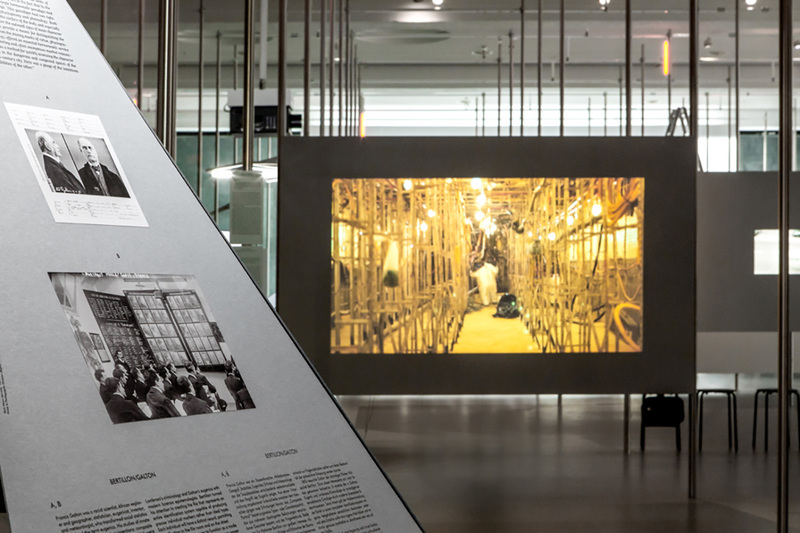 And I wanted to show how the exhibition and the museum is itself implicated in the making of this modern system of ontological and disciplinary divisions. The starting point of the project was thus to invert the usual line of argument: Not to explain the effect of animation across the animate/non-animate divide—whether in the fictional registers of art or the non-fictional registers of cultural practice—but to seek to interrogate the making of the division, of different kinds of divisions that ultimately condition our perception and cognition of the world. The initial hypothesis was that “animism” is not a curious, exceptional belief system held by certain people. Rather, it is an irreducible phenomena of our mediality, our being-in-a-medium-of-communication. We will never escape being animists, but our animism can be organized in manifold ways. The project thus attempted to provide both a critical viewpoint on modern boundary-making techniques and their naturalization in the form of disciplined knowledge and institutions. And it wanted to also transmit a sense of openness, of the possibility and reality of otherness. Last but not least: The key problems of modernity, which I believe are questions of mediality and of “framing” in relation to the constitution of sociality, are ultimately exposed in the encounter with other ontologies. How does one unframe one’s gaze? The question of “framing” is not only an aesthetic question; it is a question of the social order, the making of the socius, and of ontology. And this perspective needs a dialectical, stereoscopic gaze on the past, which can be activated, perhaps paradoxically, in the medium of the exhibition. JC: Overcoming these modern dualities is something that also appears in The Anthropocene Project, diluting the relationship between humanity and nature and questioning what processes we can follow to change our future prospects; or in The Whole Earth, reflecting on how to find a narrative that explains the reconciliation of binaries, the confluence of opposites, embracing what was previously excluded from the constitution of the modern social and epistemological order: the irrational, the mimetic or the animistic. How do you picture the current moment in relation to these questions? What do you think we can bring from contemporary art to these processes? AF: Contemporary art can traverse the horizon of any given cultural imaginary, and also delineate and expose its limits. That’s what we attempted to do with the art, the films, and the music that was presented in the context of many other documents in the Whole Earth exhibition, but here we dealt with the limits of the seemingly limitless, the unbounded planetary interior! The Whole Earth was the first exhibition project we did at the HKW in Berlin under the framework of the multi-year project on the Anthropocene in 2013/14. It was crucial in my eyes to provide first a historical backdrop to the “planetary” discourse of the Anthropocene: Indeed, the major lines of argument of the Anthropocene discussion had already been invoked some thirty years ago in the wider context of the Whole Earth Catalogue in California, in the milieu of the counter-culture, experimental cybernetics, environmentalism, and many of the Earth Systems scientists who are now trying to carry this discourse into politics—who in fact had also some roots in this milieu, and indeed were early on first popularized in the Whole Earth publications such as the CoEvolutionary Quarterly, already in the 1970s. 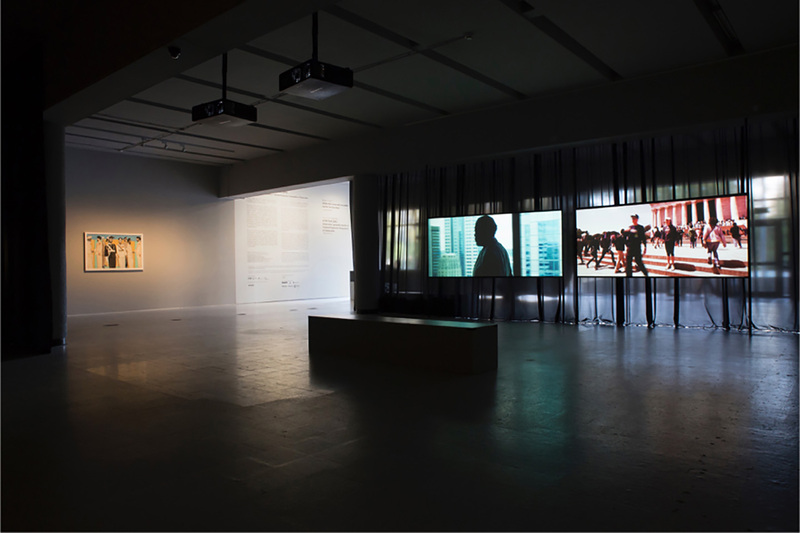 Yet our exhibition also was meant as a reminder that this appeal to a planetary dimension cannot be politicized effectively without political analysis of capitalist and colonial relations. We felt it was important to recount the story of the imperial frontiers and especially how the Whole Earth milieu also gave rise to the Californian ideology of the 1990s. The “whole systems” approach transformed into the market ideology of the New Economy. In the same manner, the Anthropocene discourse could relatively easily be appropriated—it would not be surprising if Siemens would pursue their political lobbying, for instance for their “green city” solutions that actually disguise the privatization of the commons on a massive scale, under such a banner, would it? The ideology at work in the Californian articulation of universalism and in cybernetic ideas of management have largely failed us. And yet, many of the ideas at work there could, and also have occasionally been put to a different use. How do I picture the current moment? I think it is crucial to realize that the return of “the irrational, the mimetic, or the animistic” that you mention, this drive to redeem the divisions of modernity during the time of the counterculture, did not bring about the desired reconciliation: neither with “nature”, nor with the suppressed, nor those excluded from the benefits of capitalist economies. It was in that sense an anti-politics. It ended up as the neoliberal ideological interpellation of the subject to reconcile and de-alienate oneself. On a more abstract scale, this is connected with the hypothesis presented by Erich Hörl in the context of the project, namely that “ecology” might well have been a discourse less about anything “natural”, than technological. Ecology, he says, exposes the original technicity of sense. It is a discourse that is enabled by—and needs to try to come to terms with—the becoming environmental of technology on a global scale, the rise of the so-called technosphere. In terms of the broader picture, I think that we are currently facing the monster of extractivism and the profit machine with new force, combined with the return of the unredeemed evils of the colonial past. We have to rework the answers of the past, but also acknowledge the continuities of struggles, and that means to acknowledge and defend complexity. We need new narratives, which are outlining how we got where we are today, and provide new ways of making sense of our situation. But it is not the narratives themselves that need to be new; the “tradition of the oppressed” knows them all throughout. It is how they address themselves—and how they bring a subject into being—that needs to be reinvented. 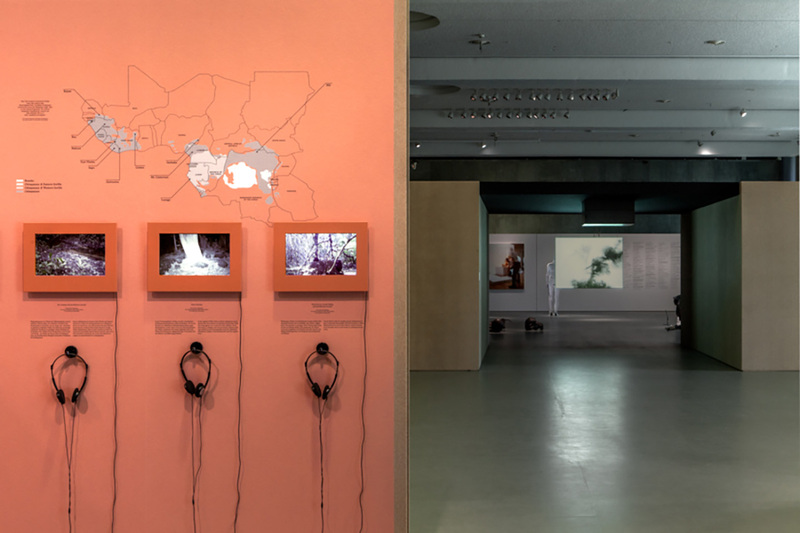 JC: Thinking of the evils of the colonial past, you have opened 2 or 3 Tigers, the current project at HKW dealing with the transitory zone occupied by the figure of the tiger separating civilization from wilderness, the living from the ancestor-spirit world. You are trying here to rework the answers of the past, questioning the historical nature of mediation. Could you tell us a little about how you, together with Hyunjin Kim, articulate this project? AF: This is an exhibition that developed out of several projects I was invited to curate in East Asia in the past 4 years—two iterations of the Animism exhibition in Seoul and Shenzhen (the former upon invitation of Hyunjin Kim), but also the Taipei Biennale 2012, the Shanghai Biennale 2014, and the opening exhibition of Gwangju’s new Asia Culture Complex. In each of these projects, I tried to draw on the perspective developed with the Animism exhibition, in order to activate a different imaginary of the history of modernity in East Asia, one that resists identitarian divides, imperial and nationalistic schemes, and the still escalating effects of Cold War militarization. With 2 or 3 Tigers, we tried to bring together works that re-articulate the question of “tradition” in relation to—and as part of—modernization ideologies, a topic that Hyunjin had also previously tackled in her work in Korea. Each of the works interrogates history and tradition but from a non-essentialist perspective. The exhibition is different from most of the other projects discussed above, in the sense that it does not include any documentary material in addition to the works of art. These works themselves are mostly epic in their range of historical narratives. The starting point is the opulent work of Ho Tzu Nyen, a new and final piece of a series of works he did on the role of tigers in Singaporean and Malayan history. In the overall conceptual narrative, tigers (and “weretiger” mythologies in particular) are foregrounded as “liminal” figures through which different ways of organizing human society in relation to its boundaries and protocols of mediation can be discussed. Because the tiger is a figure that crosses the partitions of the modern world on a subterranean level, antecedent to the divisions, but upon surfacing as a symbol or image, it mediates them, as if from the other side. Thus, for instance, the tiger morphs historically from a mythical creature that marks, from its outside, the limits of the society of humans into a symbol of national identity and military prowess, as when it is charged with crafting a continuous national space and body politic—zoomorphically mapped, for instance, onto what is today the divided Korean peninsula—to re-emerge in the more recent metaphor of the Tiger States, symbolizing the hypermodernizing condition of recent decades. 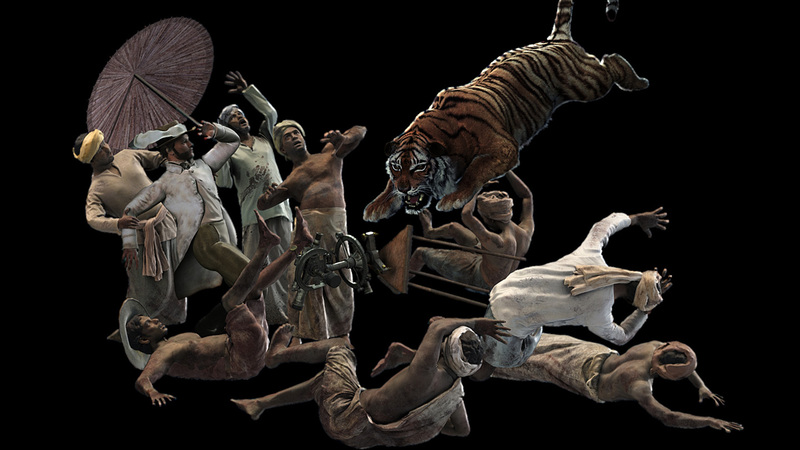 The mythical symbol of the tiger is often put in the service of reifying national identities, but in this project, it is torn away from these molds and used instead for a different imaginary: that of a history of experience that transcends the divisions inflicted by colonial history, subsequent militarism, and national conflict. It is a medium that might hence help to imagine identities that are not based on these divisions and their paranoid psychology. Anselm Franke is a curator and writer based in Berlin. He is Head of Visual Art and Film at the Haus der Kulturen der Welt, where he co-curated The Anthropocene Project (2013–2014), and the exhibitions The Whole Earth; After Year Zero (both 2013), Forensis (2014), Ape Culture (2015) and Nervous Systems (2016), among others. In 2012, he curated the Taipei Biennial, and in 2014, the Shanghai Biennale. 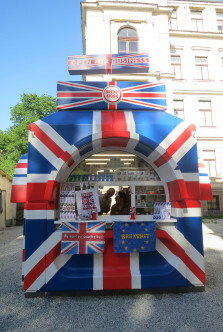 Franke’s exhibition project Animism has been presented in Antwerp, Bern, Vienna, Berlin, New York, Shenzhen, Seoul, and Beirut, in various collaborations from 2010 to 2014. 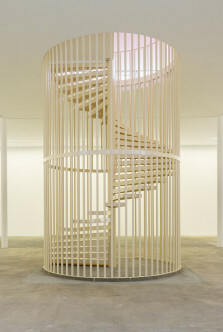 Previously, Franke was curator at KW Berlin and director of Extra City Kunsthal Antwerpen. He completed his PhD at Goldsmiths, University of London.